Beauty Professor: EnvyDerm Lip Plumper...a Review! Above: The lip plumper tube contains .17 fl. ounces of product. 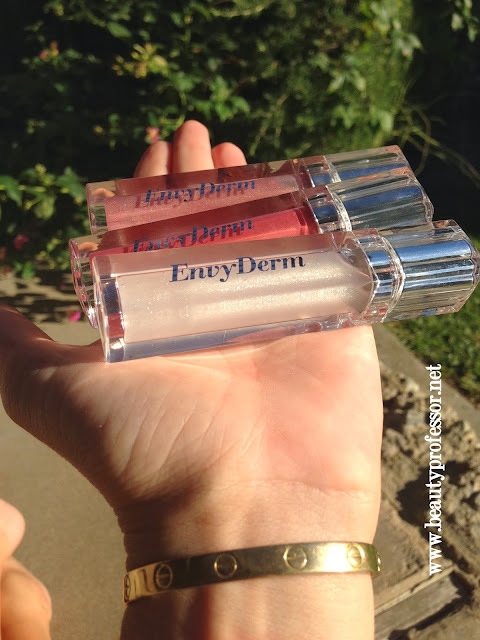 I recently had the chance to try a lip plumper by independent beauty line, EnvyDerm. The Lip Volumizing and Conditioning Plumper purports to instantly increase lip fullness by up 37%, while simultaneously hydrating and beautifying the lips. 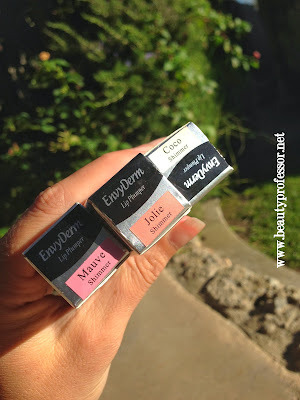 Above: EnvyDerm lip plumpers are a brilliant, non-sticky gloss option. Mauve...a pale, shimmery pink with true mauve undertones. Jolie...a bright peachy pink with golden shimmer. 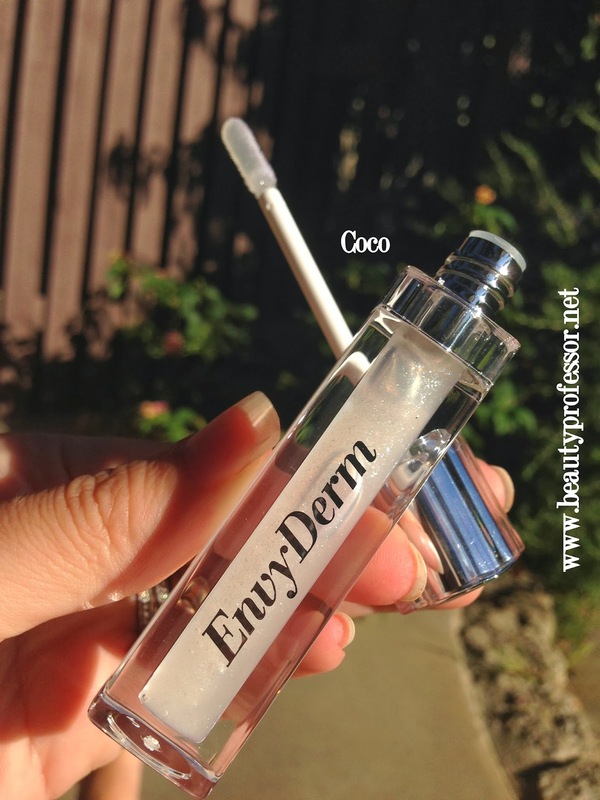 Coco...a translucent clear with delicate, iridescent shimmer. Formulated without: Parabens, Synthetic fragrances, Sulfates, Phthalates, GMO's, Tricolsan, Mineral oils, Animal products. Ingredients: Polybutens, Octyl Palmitate (Palm), Organic Ricinus communis (Castor) Oil, Organic Simmondsia Chinensis (Jojoba) seed oil, Organic Argan Oil, Oraganic Punica Granatum (Pomergranate seed) oil, Organic Persea Armeniaca (Avocado) oil, Silica, PVP/Hexadecene Copolymer, Organic Euterpe Oleracea (Acai Berry) Extract, Organic Camellia Oleifera (Green Tea) Extract, Organic Vitis Vinifera (Grape) seed Extract, Organic Lycium Barbarum (Goji Berry), Palmitoyl Oligopeptide (and) Palmitoyl Tetrapeptide-7, Marine collagen, Menthyl ethylamido oxalate, caprylic/capric triglyceride (and) Dictyopteris Membranacea (Agae) extract, Isohexadecane BIS-PEG/PPG-14/14 Dimethicone, Ethylene/ Propylene/Styrene copolymer butylene/ethyllene/Styrene Copolymer, Cyclopentasiloxane, Sodium Hyaluronate, Xanthan Gum, Tripeptide-1, Phenoxyethanol, Tocopheryl Acetate (Vitamin E), Retinyl Acetate (Vitamin A), Ascorbic Acid (Vitamin C), Phytonadione (Vitamin K), Menthol, Mentha Spicata (Spearmint) Oil, Gaultheria Fragrantissima (Wintergreen) oil,Capsaisin. The plumper comes in a secure, lucite-like square tube and contains a doe-foot applicator well-suited to precise application. Texturally-speaking, this formula is divine...it is cushiony and plush without being ultra-sticky and wears comfortable for hours. The tingle it imparts feels invigorating...it is quite pronounced (but not at all irritating), which I adore. My lips literally feel like they are filling out upon application and while the tingle wears off after about ten minutes, my full, moisturized pout remains! 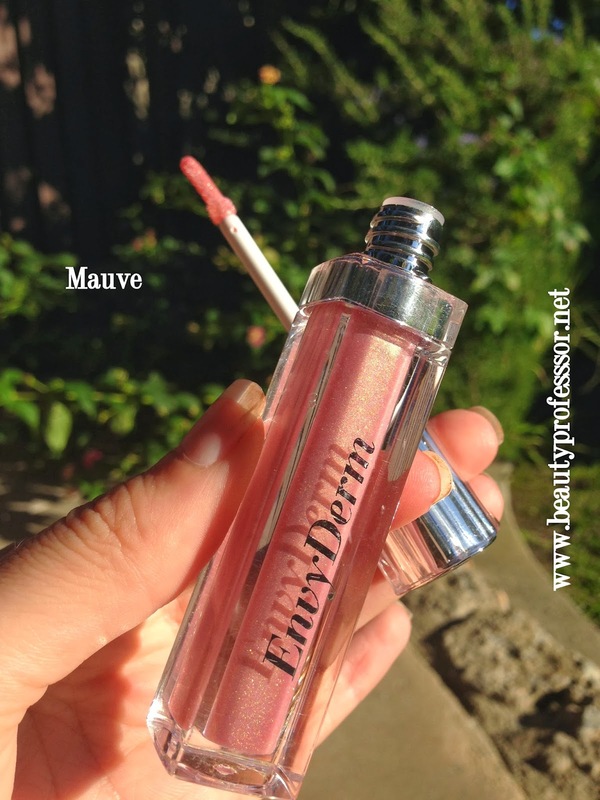 I love using this as a hydrating treatment, a plumper under dryer lipsticks and a sheer wash of color (Mauve looks killer with a smokey eye). Above: Mauve in direct sunlight. Above: Swatches of all three shades in direct sunlight...palpable brilliance and sophisticated shimmer. 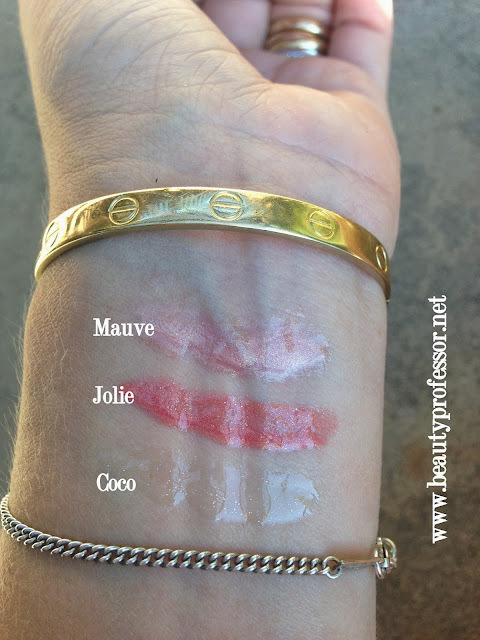 Above: Swatches of all three shades in the shade...still ultra radiant! Above: Mauve is a pale, shimmery pink with true mauve undertones. Above: Mauve on the lips. 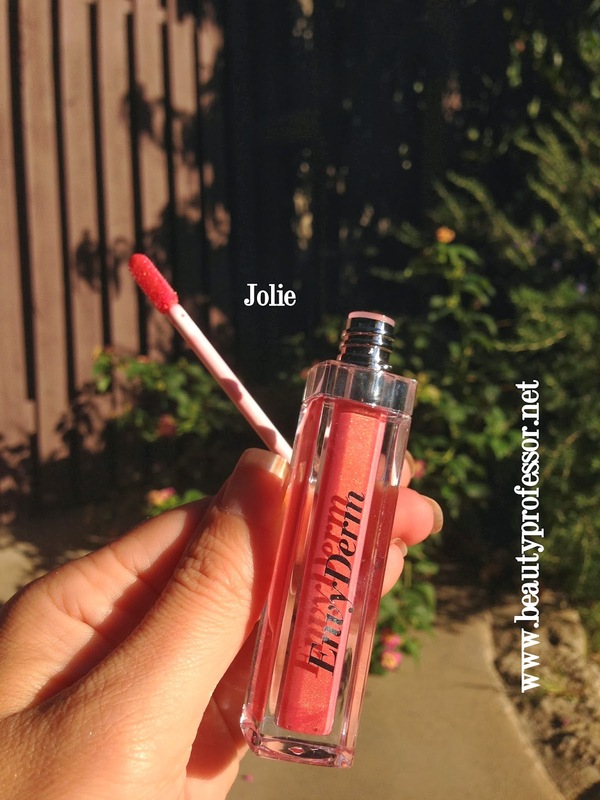 Above: Jolie is a vibrant, shimmery peach. 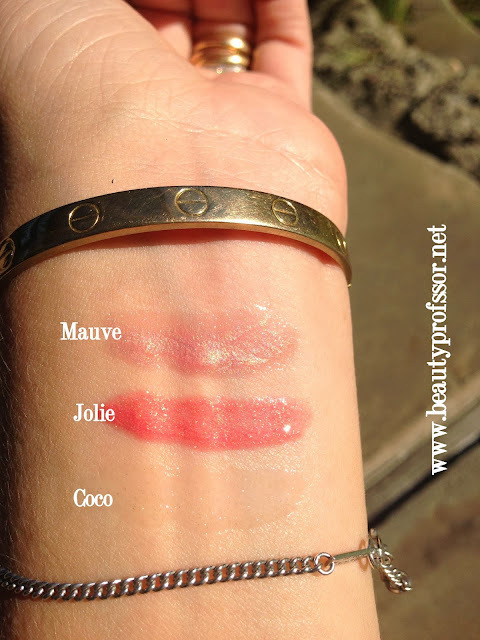 Above: Jolie on the lips. Above: Coco is the quintessential clear shade. Above: Coco on the lips! 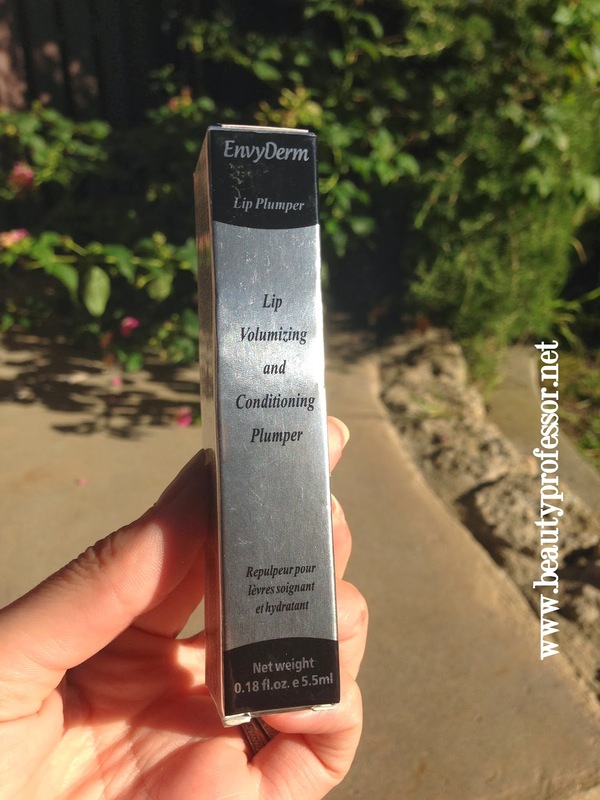 Bottom Line: The EnvyDerm Lip Volumizing and Conditioning Plumper is exceptional...with all of the "lip plumpers" on the market, it is rare for me to be significantly impressed with the efficacy of a plumping formula. The invigorating tingle, extreme hydration and full pout this creates is pure delight and I now have a tube stashed in my purse (makes an excellent base for lip color) and by my bedside (soft, plump lips in the morning, thank you very much). Highly recommended!